Types of bradycardia. 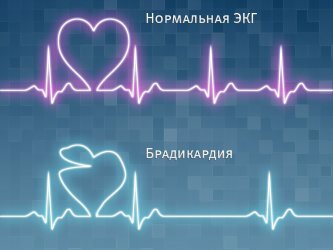 The main types of bradycardia of the heart on the ECG, which are. Pathological bradycardia - any slowing down of the rhythm, which threatens a violation of normal blood circulation, is considered a pathological condition. In some cases, bradycardia can be seen as a variant of the norm, which is more common in physically trained people. But often, even a mild degree of bradycardia can lower the quality of a person's life. Paroxysmal bradycardia is an ill-fated design that combines completely different concepts of paroxysmal tachycardia and bradycardia. According to the mechanism of development, these two pathologies differ markedly among themselves. The only, in some cases, is their alternation, which apparently served as the emergence of such a definition as paroxysmal bradycardia. 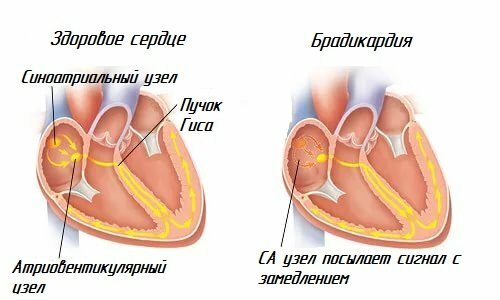 Inaccurate bradycardia - in modern cardiology, this concept of crying bradycardia is not considered. Blinking is combined with arrhythmia, which is an irregular, rapid heart rate. Bradycardia is a decrease in heart rate, so in this context only the alternation of atrial fibrillation with bradycardia can be considered. Reflex bradycardia - during the development of certain somatic diseases, oppression of the sympathetic nervous system or, conversely, activation of the parasympathetic department of the nervous system occurs. As a result, bradycardia, called reflexology, develops. To eliminate it it is enough to cure the main disease, which caused the appearance of pathology. 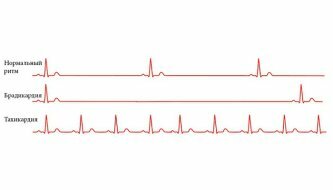 Sinusoidal bradycardia - is formed as a result of decreased activity of the main driver of the rhythm - sinus node. More commonly known as sinus bradycardia. 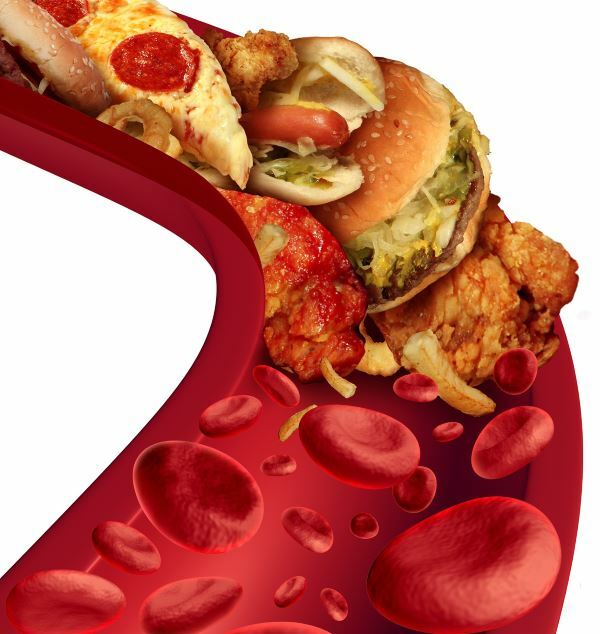 The occurrence of the pathology is most often associated with non-cardiac disease, although in some cases, the rhythm disorder occurs against the backdrop of organic heart disease. 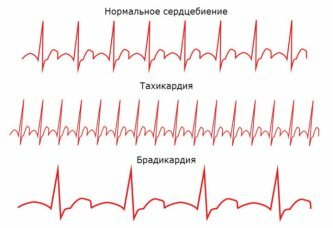 Ventricular bradycardia-a similar violation of the rhythm by definition does not exist, since by themselves the ventricles can not reduce the frequency of heart contractions. Tachycardia, extrasystoles, and fibrillations are associated with dysfunction of the ventricles, but bradycardia with a similar location is unknown at present. 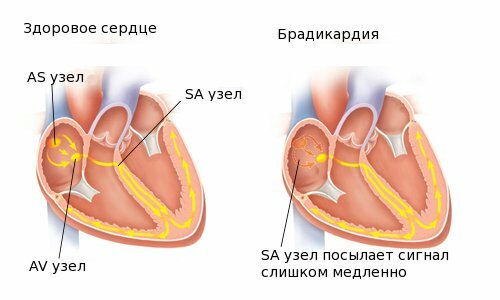 Therefore, the reduction in heart rate is considered separately from such parts of the heart as the ventricles. Vertical bradycardia - refers to sinus-type rhythm disorders. A characteristic feature of this pathology is the reduction of the heart rate in the upright position, while in the horizontal heart rate is close to normal. Therefore, an expression often used in a clinic like vertical bradycardia. It is often diagnosed in childhood and is divided by the degree of severity of clinical signs. Medicinal bradycardia - develops due to the incorrect use of certain drugs that can slow down heart rhythm. Depending on the amount of overdose of this or that medication, bradycardia may be mild, moderate, and severe. 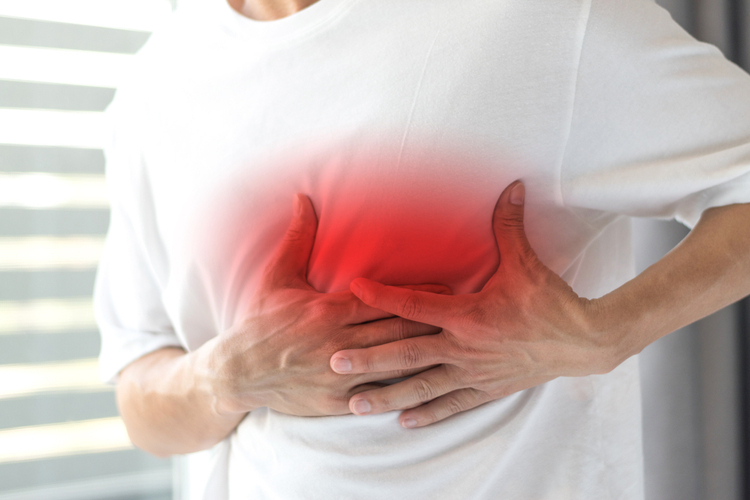 In difficult cases, it can reach a heart stop, so it is extremely important to begin treatment on time. Sinus bradycardia - refers to an arrhythmia group and is a cardiac activity disorder, in which a decrease in heart rate (in adults less than 60 beats / min) is observed. 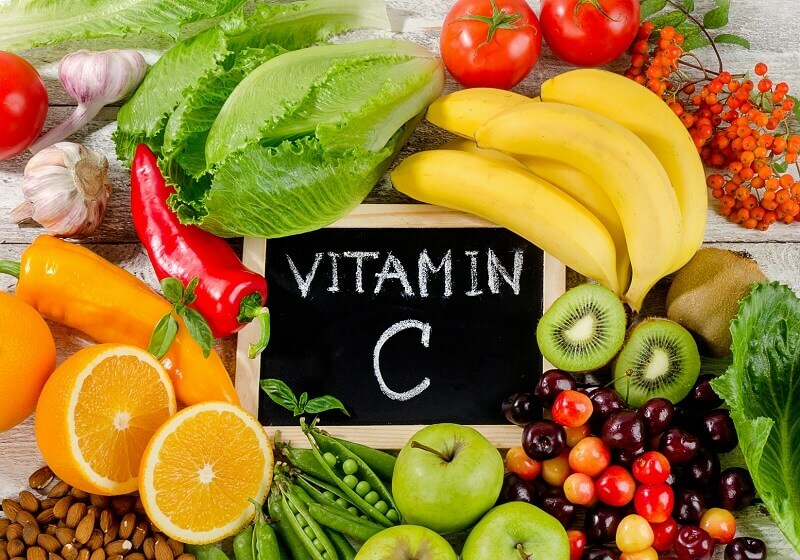 It develops in many diseases, organic and extracardiac. In some cases it is considered as a variant of the norm, if it does not violate the normal life of a person. 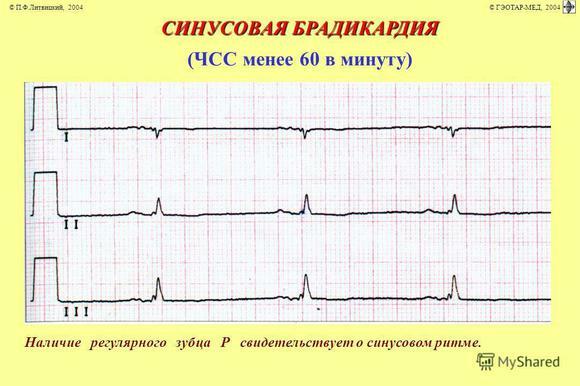 Neurogenic bradycardia - occurs with various neurogenic diseases, which contribute to the slowdown of cardiac activity. It may be neuroses and depression, diseases of the gastrointestinal tract, cerebral pathology. Neurogenic bradycardia is considered a symptomatic disorder and, in fact, is a complication of another illness. 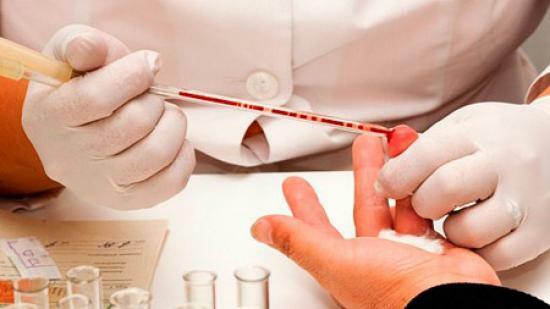 With severe severity, specific treatment may be required. 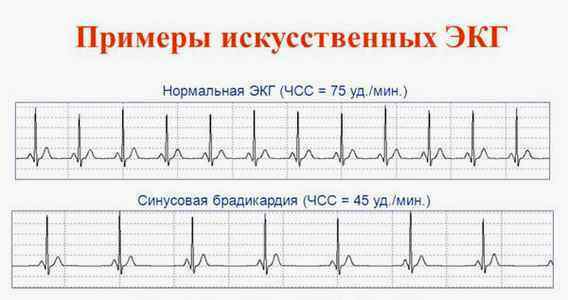 Ischemic bradycardia - at the time of ischemic heart disease, arrhythmia or tachycardia is most commonly observed, but if a violation of the conducting system develops then bradycardia develops. The pathological condition is more characteristic of the elderly when myocardial ischemic defeat passes. In rare cases, ischemic bradycardia is diagnosed in young people. 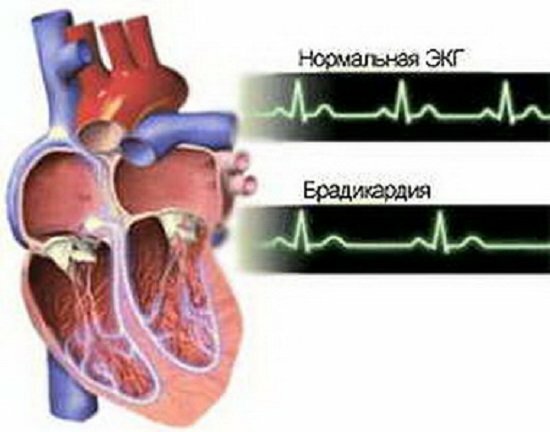 Extracardiac bradycardia - the pathology is associated with extracardiac diseases, which by their development affect cardiac activity. A similar phenomenon is observed with thyroid gland dysfunction or increased excitability of the parasympathetic nervous system. The prognostic value is often favorable, but sometimes symptomatic treatment is required. 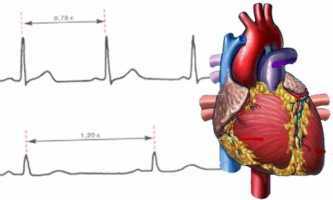 Vagus bradycardia - is associated with the activity of the parasympathetic department of the nervous system. Such a bradycardia can still be called functional, as there are often no organic damage to the heart muscle. In spite of a relatively favorable prognosis, appropriate treatment is required. Bradycardia with hyperkalemia - the development of the pathology is associated with an excess of potassium in the blood, which leads to softening of muscle tissue and a decrease in cardiac activity. Symptomatic is manifested, therefore the severity of bradycardia depends on the course of the underlying disease. In severe cases, it can reach the cardiac arrest.